Mental health advice for the back to school season. Students are entering their first year of university en masse, and while it is an exciting time for many, it's also a stressful time for most. 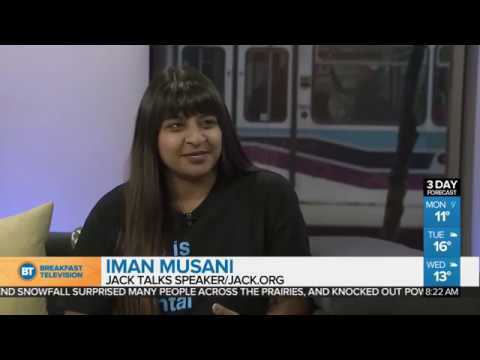 Iman Musani, Jack Talks Speaker, recently sat down with BT Calgary to discuss mental health on campus, the importance of a peer-to-peer approach and how the mental health conversation is progressing. Thank you to BT Calgary and Leah Sarich for having us on the program!